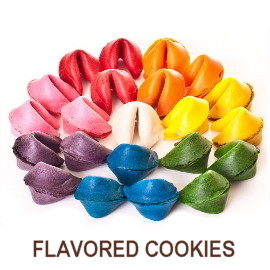 As the inventors of colored and flavored fortune cookies, we’re experts in having fun. 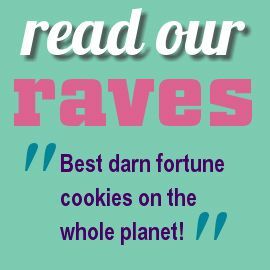 Hey, we even bake the world’s LARGEST fortune cookie! After 29 years handcrafting and decorating wildly delicious cookies, we continue to dream up creative new treats, including our new gluten-free cookies. Call Erin Jump Fry, our CEO and Stuntwoman, to help make any event more fortunate. Whether you’re celebrating a wedding, a birthday, a holiday or just Tuesday, we have ideas. 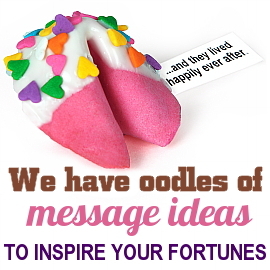 We also write custom fortunes for you. 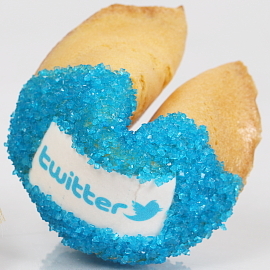 "Your fortune cookies were a huge success at our event. You can tell you use the freshest ingredients for your unique flavors." 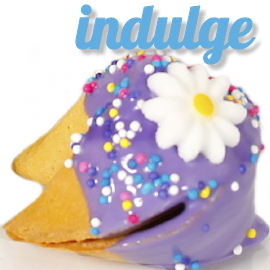 Like one of our photos and add a suggested fortune in your comment. 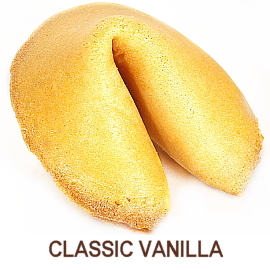 The best one wins a free sampler box of gourmet fortune cookies. 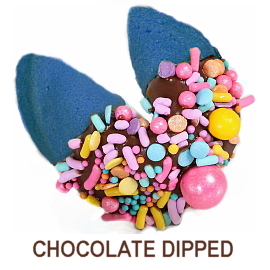 We bake your logo and company colors onto gourmet message delivery cookies...dare to be different! 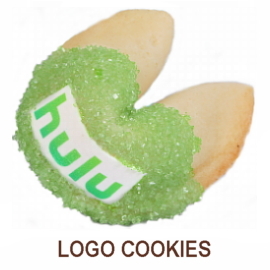 Custom fortunes and packaging too.